I once had an office that overlooked the construction site of a 30-story building. Over a period of 18 months, I watched the clearing of the site; the excavation to the bedrock; the pouring of the foundation; and the assembly of the steel structure. Eventually, the building was clad in glass and was either transparent or reflective depending on how the sun hit it. My favorite part of the construction was seeing all of the steel in place just before the workers started to build the glass skin. 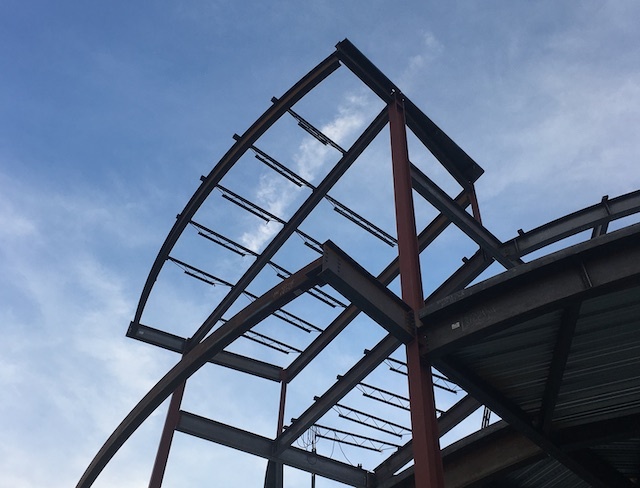 The steel framework was a clear expression of the shape of the building. From a sculptural perspective, it made a powerful statement about its form and what it was going to become over the next few months. As I talk to business owners, I often find that they have a hard time expressing the structure of their business. They may think that their organization looks one way (flat, vertical, centralized, etc. ), but their description of the business presents itself differently. Being able to clearly describe, and perhaps illustrate, what you are trying to accomplish can serve to help people understand the value you provide. The closer you can get to describing the building blocks of your business and how they relate to one another, the more opportunity you will have to make them work better together. How clear can you be about your organization?